For today's scrappy Saturday post, I dug through my scrap pile and found some Halloween items. This is a super-simple card. The base is Basic Black, the layer on top of that is Pumpkin Pie. 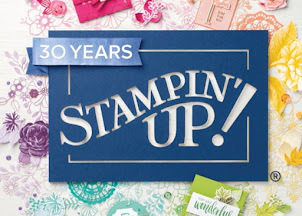 The designer series paper is actually printed from My Digital Studio onto Whisper White card stock, it's the Night & Day digital paper. That's one of the great things about the My Digital Studio, you don't have to own the actual paper, you can print what you want, when you want it! 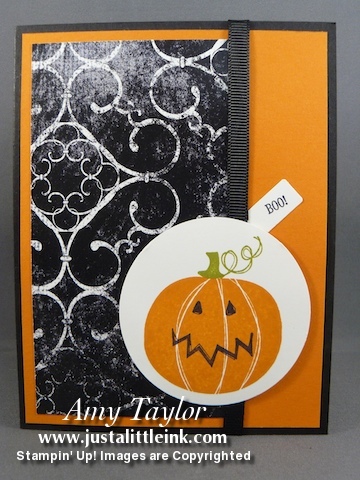 The "boo" is from the Tiny Tags stamp set and the jack-o-lantern is from Jack of all Trades stamp set. This is a super-simple card. The base is Basic Black, the layer on top of that is Pumpkin Pie. The designer series paper is actually printed from My Digital Studio onto Whisper White card stock, it's the Night & Day digital paper. That's one of the great things about the My Digital Studio, you don't have to own the actual paper, you can print what you want, when you want it!